I used the same relaxer, the Affirm FiberGuard Conditioning Cream Relaxer System and followed the same method of parting and applying my relaxer as my last touch-up in November but some of my finishing products changed. · I used a mix of Affirm FiberGuard Sustenance Fortifying Treatment and Affirm 5 in 1 Reconstructor for my mid-relaxer protein step. · After Neutralizing three times I used the Redken Hair Cleansing Cream then neutralized again. · Deep conditioned with Keracare Humecto only. · For my leave-in I only used Matrix Biolage Daily Leave-in Tonic then applied Paul Mitchell Super Skinny Serum and detangle. · Applied Chi Silk Infusion and blow dried on the lowest heat setting. To me, my last hair cut looks even worse now than before, check it out here. After getting all my hair chopped off, it is still very uneven; the left side is by the number 2 line while the right side is by number 4, on top of that, I am still not happy with how my ends feel. I want to cut it again but I feel like all I ever do is cut my hair so I am hoping to hold back on the cutting until the end of the year or until the left side reaches APL, whichever comes first. I did not flat iron my hair because I finished around 2am, I will probably do so for my 2 year healthy hair-versary coming up next month. Your hempline isn't that noticeable unless you stare. The thickness of your hair is amaze balls! Your hair looks amazing. I agree with Tomes Edition. I had not noticed the uneven ends until you mentioned it. Keep working and I'm sure by the end of the year things will be better. I think you are still living the trauma you went through! I agree with you about keeping your hair away to stop you getting scissors happy. the thickness of your hair is to die for! Hi did you purchase the affirm relaxer in Trinidad and if so what store has it? 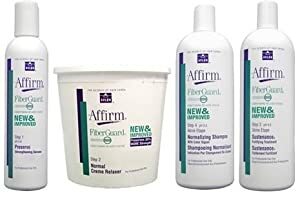 I purchased all my Affirm Fiberguard products online. The only place in Trinidad that I ever saw some affirm products is Hair City in Port of Spain, don't know how consistent they are though, I've only been there once. 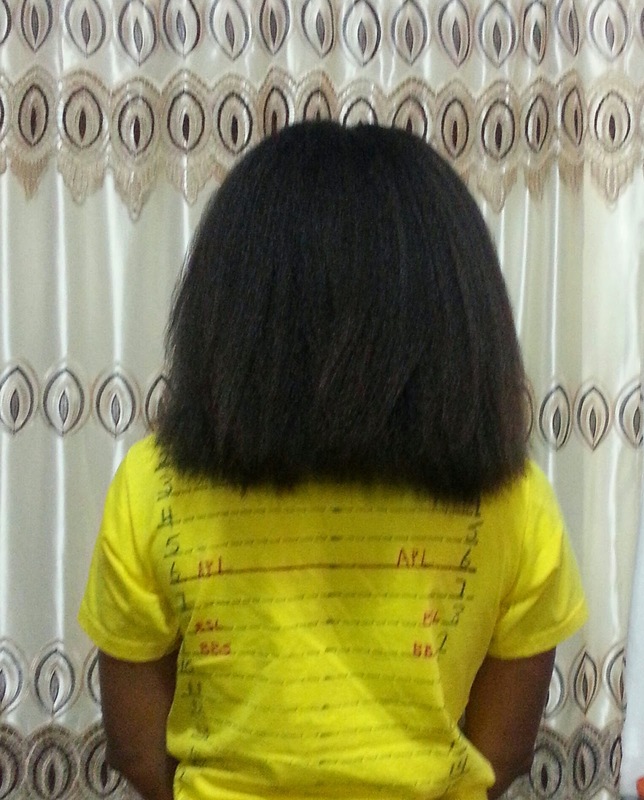 Healthy Hair Diary Turns One!